The iGaming company Stakers releases a new product—sports betting pools. A new approach implicates changes in a number of winning outcomes and the winning jackpot share while the rules conform to the market standard in full. With the starting jackpot liquidity of 100K and the minimum bet of 20 cents, big and small players have equal chances and fair conditions for a play. Stakers' innovation allows to increase the number of winners and makes it easier to get money prizes. A player could correctly predict just 6 outcomes out of 15 picks and be rewarded. "Driven by our cutting-edge technology and iGaming experience, we introduce the new and exciting feature of Pools with guaranteed world’s notable jackpot liquidity. Commitment to mobile users stand as our top priority and here at Stakers, we are aware of the increased demand for mobile products and we’ve become the first company in the gaming industry to introduce purpose-built fully optimized web version of the Pools. This will spearhead a change in the betting experience, and that is truly exciting!” said Michael Schmidt, company business development manager. The major principles of Toto games are the division of wagered total between the players who guessed the largest number of results under the applicable settlement rules. According to the research held by a British analytics agency, the popularity of totalizers has spread all over the world and is still growing rapidly since its introduction in the 19th century. Stakers’ team simplifies the design and adds the most secure instruments for recreational players. Along with making manual selections for a single or multiple tickets, a customer can also use a random selection to bet on favorites in one click, placing the bet from 20 cents to a Eurо. At present, there are three kinds of pools available: Soccer 1X2, Tennis Head to Head and Soccer correct score. 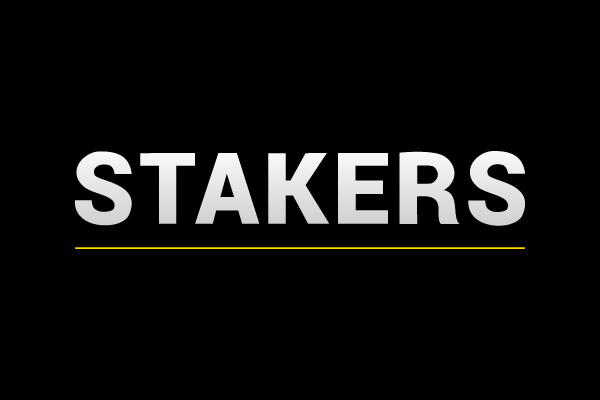 Stakers proves its trustworthiness by the introduction of clear and transparent rules. Michael Schmidt points out, “As specified in the latest RGA research, today eGaming has proven to be an increasingly growing industry with a number of players around the world from 10 to 80% of the national population. In European states, ePlayers comprise approximately 60%. The part of those, who play Pools betting games on a regular basis, is from 10 to 15%”. Mr. Schmidt added “We’re always trying to innovate our sportsbook and to go with the tides and for the umpteenth time we are excited to be rolling out another great product from the excellent team of our developers” Stakers.com is licensed in Malta and regulated by the Maltese Gaming Authority. License number MGA/CL2/1306/2017. STAKERS offers the most exciting sporting action from every arena, stadium, pitch and court, 7 days a week, 365 days a year with more than 30,000 live events per month. They offer 100% bonus equal to the first deposit, with the maximum bonus of up to 200 Euro. To qualify for the bonus, a player needs to deposit a minimum of 15 EUR.